NEW YORK — Jonathan Demme, the Oscar-winning director of The Silence of the Lambs whose four-decade career spanned a staggering array of work from romantic comedy and rock music to hard-hitting documentaries, died on Wednesday. He was 73. Demme passed away in New York surrounded by his family after a battle with cancer, his publicist announced. He will be laid to rest in a private funeral. He remains best known for the smash-hit 1991 horror-thriller starring Anthony Hopkins as serial killer Hannibal Lecter and Jodie Foster as FBI agent Clarice Starling. The movie was box office gold and a dazzling critical success. It swept the 1992 Academy Awards, winning five Oscars including best picture, best actor for Hopkins and best actress for Foster. "I am heart-broken to lose a friend, a mentor, a guy so singular and dynamic you’d have to design a hurricane to contain him," Foster wrote in a statement. Hopkins said he was shocked. "He was one of the best, and a really nice guy as well who had such a great spirit. Every day being with him was a high five." The director’s success with Silence of the Lambs gave Demme the commercial springboard to direct Philadelphia in 1993, a ground-breaking Hollywood blockbuster that won Tom Hanks his first Academy Award for playing a gay lawyer fired for contracting HIV and fighting for justice. Critics say the movie changed the way Hollywood portrayed the AIDS crisis and revolutionised mainstream film’s portrayal of gay and lesbian characters. Demme’s most recent feature film was the less well received Ricki and the Flash, starring Meryl Streep as a divorced mom who ditches her family to follow her dream of rock-n-roll stardom before a crisis compels her to return. "Jonathan passed away early this morning in his Manhattan apartment, surrounded by his wife, Joanne Howard, and three children," Demme’s publicist said in a brief statement. He died from complications from esophageal cancer. His death prompted warm tributes for a deeply respected director, praised for his compassion and creativity, as well as recognised for highlighting causes such as the plight of New Orleans after Hurricane Katrina, and impoverished Haiti. "Jonathan taught us how big a heart a person can have, and how it will guide how we live and what we do for a living," Hanks said. "He was the grandest of men." Streep said Demme had been "a big-hearted" man who fully embraced "people in need -- and of the potential of art, music, poetry and film to fill that need." Born on February 22, 1944 on Long Island, New York, Demme went to high school in Miami and briefly studied chemistry at the University of Florida in the hope of becoming a veterinarian. It was after flunking science that he turned to writing movie reviews and got a publicity job at a film company. He later met director Roger Corman, who asked if he could write a screenplay. "I fell backwards into it almost," he said of his career in an interview with National Public Radio in 2007. 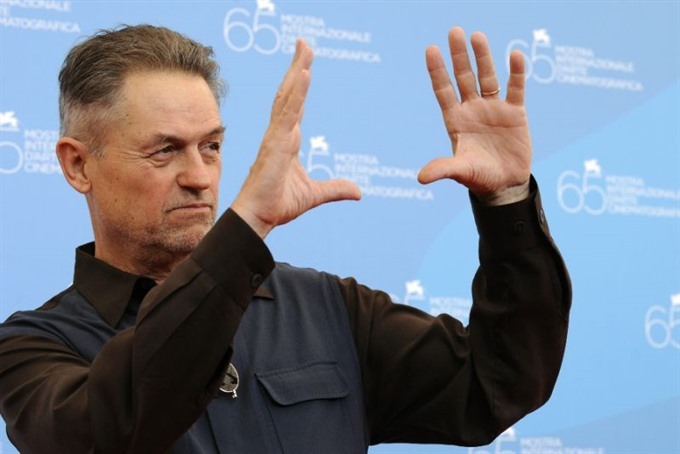 Demme directed a total of 20 feature films and 12 documentaries, not to mention innovative concert movie Stop Making Sense and music videos, chalking up a raft of writing and production credits. Much of his work had a political or social edge. Besides thrillers, romantic comedies and a farce about the wife of a mobster, his real love was for documentaries. Subjects included Nelson Mandela, former president Jimmy Carter, and Bruce Springsteen. "I’m not really in the business of making fictional films and I’m drawn to ones that I consider to be special and exciting in a certain way, and in the meantime I’ll be perfectly happy just to make documentary after documentary," he told NPR. But there were also flops. His 1998 movie Beloved starring Oprah Winfrey and based on the Toni Morrison novel about a slave visited by the spirit of her dead daughter, bombed. There were also lackluster reviews for his 2004 remake of The Manchurian Candidate starring Streep and Denzel Washington, set in the 1990-1991 Gulf War. In 2013, the Americans For Immigrant Justice charity announced that it was honoring Demme with an award for decades of tireless work on behalf of Haitian refugees and vulnerable immigrants.